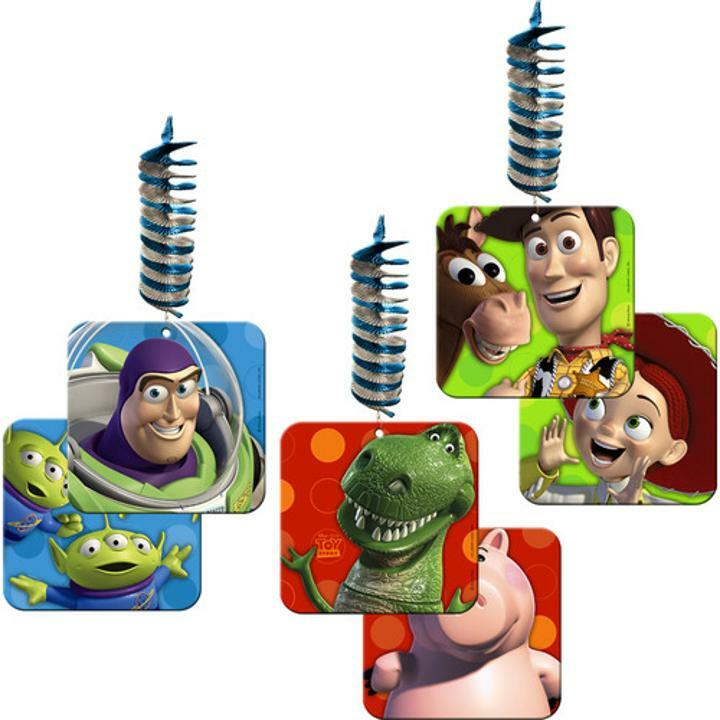 These Toy Story decorations are a great way to add great Toy Story 3 fun to your next birthday party! Each package contains 3 hanging danglers. When viewed with the 3D glasses (sold separately) these dangler decorations will rock your world and bring your party to life! These Toy Story 3 decorations are very cheap as well. L: 6.75 in. W: 8.0 in. H: 1.0 in.